Wash and soak the dhal for 5-6 hrs. Cook it with salt till it is soft. Cook it directly on the flame (don't pressure cook). Drain the extra water. 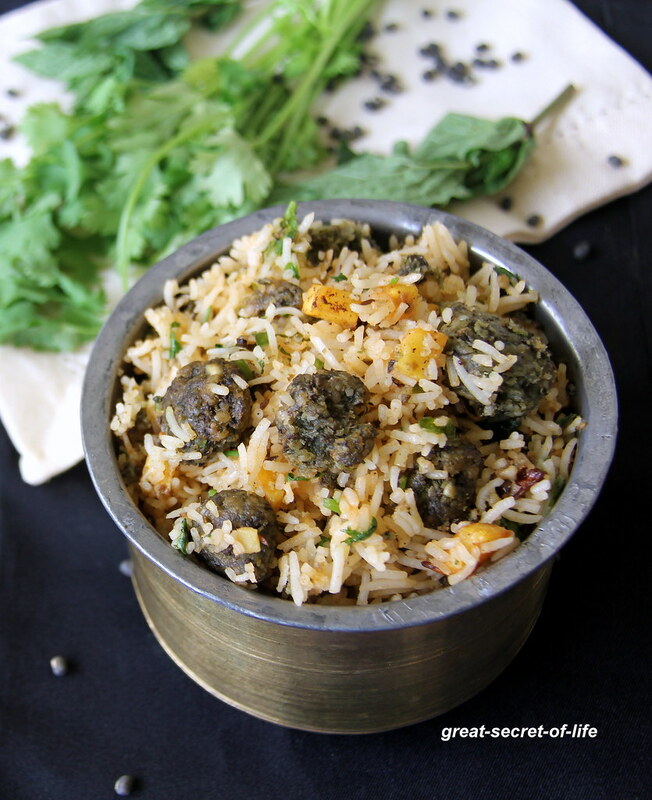 Grind it with Mint, coriander leaves, ginger, garlic, green cillies, salt, Garam masala into coarse paste. Make small flat balls and deep fry them. Keep it aside. Wash and soak the rice for 15 mins. Drain the water. Heat ghee and add bay leaves, Chilli powder and yogurt(add yogurt in low flame). Fry for 30 sec. Add Rice and fry for a min. Add 2 cup of water and required salt. Cook it. 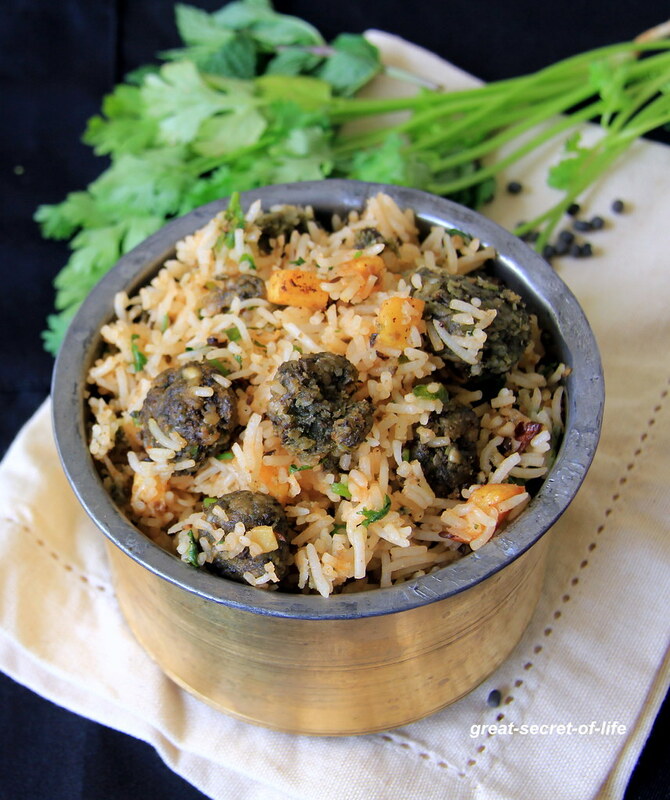 I get the scent and I love the spices for this one pot complete awesome meal. 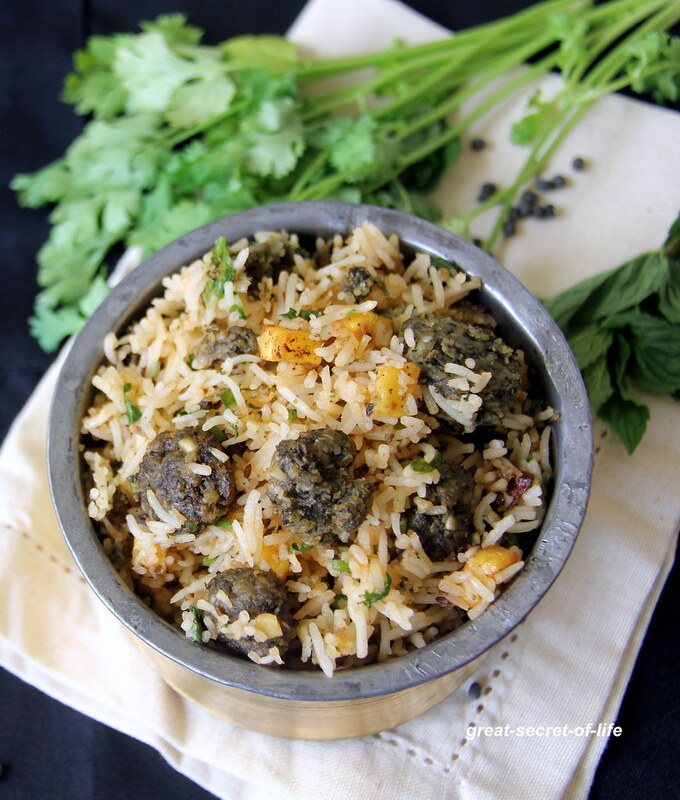 New and delicious recipe, the rice looks superb..
Never tried kofta rice..this looks yum.. This looks fantastic, I want to try it..
looks fantastic,would love to try! !